Elizabeth Bellamy Grill attended Colorado State University for her undergraduate studies and went on to earn her Juris Doctor from the University of Wyoming. During her time at the University, Elizabeth was awarded the Student Pro-Bono Award from the Wyoming State Bar for her work as a Guardian Ad Litem. Elizabeth is admitted to practice in Wyoming and the United States District Court for the District of Wyoming. Although raised in Denver, Colorado, Elizabeth’s family legacy in Wyoming predates 1900. Marie, Elizabeth’s great-great-grandmother, was the first female to serve in the Wyoming Legislature and Charles, her great-great-grandfather, was the first licensed engineer in the State. Elizabeth is a fourth generation University of Wyoming graduate. 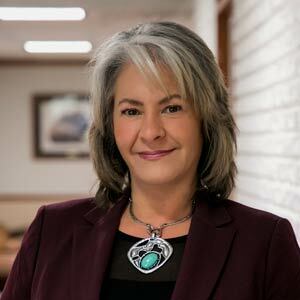 After moving to Casper, Wyoming, Elizabeth focused her practice on family law. Later, she became a prosecutor and Wyoming Peace Officer Standards and Training (POST) Instructor for the City of Casper. Elizabeth joined Schwartz, Bon, Walker & Studer, LLC in 2017 concentrating her practice on insurance defense, domestic law, and criminal defense. Elizabeth enjoys spending time with her husband and two children.